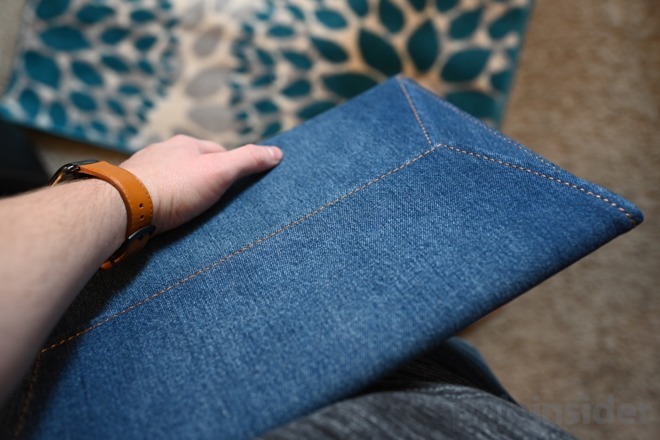 Made of both a light and dark wash of denim, this Incase sleeve is as eye-catching as they come. The exterior is a dark blue wash with light brown stitching running the seams. 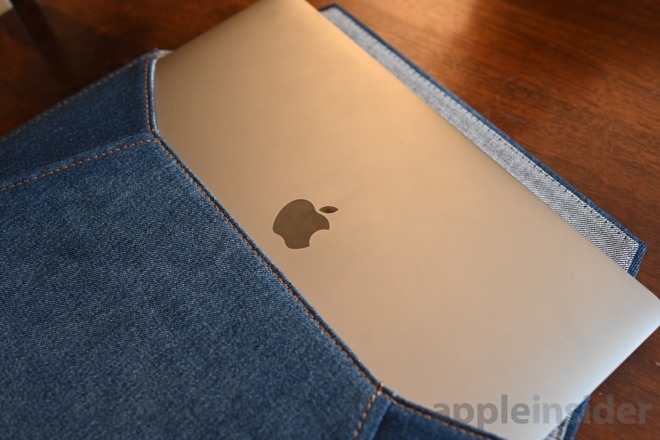 An envelope-like flap covers the opening, which is held in place via a set of magnets, that keep your Mac from slipping free, unlike other open-ended sleeves. When the flap is opened, the light interior provides a stark contrast with the outside. 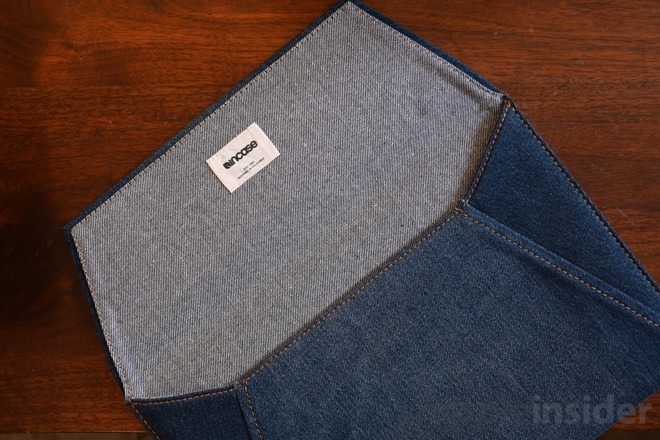 It also hides a small stitched label, not unlike your favorite pair of jeans. We did like that on the inside, rather than the out, keeping the whole exterior logo-free. Incase has infused quite a bit of rigidity into the sleeve, allowing it to hold its own fairly well when the Mac isn't inserted. Each of the stitched edges also feels reinforced, which come in handy should your Mac ever take a tumble enveloped in the sleeve. Sleeves exist largely as a sacrificial surface for device protection, so withstanding drops and abrasions should be front and center. There's something interesting about the Incase Envelope Sleeve that we can't quite put our finger on. We are fans of the denim construction that feels robust, durable, and protective simultaneously. It has a distinctly vintage feel, but — at least when new — has a certain "mom jean" vibe to it. As if the wash of the jean is too new and unmolested. Just like your favorite pair of jeans, we expect the Incase Envelope sleeve to change over time, distressing the more vivid hue into something uniquely your own. Of course, that distressed look doesn't come out of the box. Seeing as this is an Apple Store-exclusive it is no surprise that the fit of the sleeve is exact. It fits our 15-inch MacBook Pro perfectly snug, with enough give to slide it in and out, but not enough for it to move around inside. 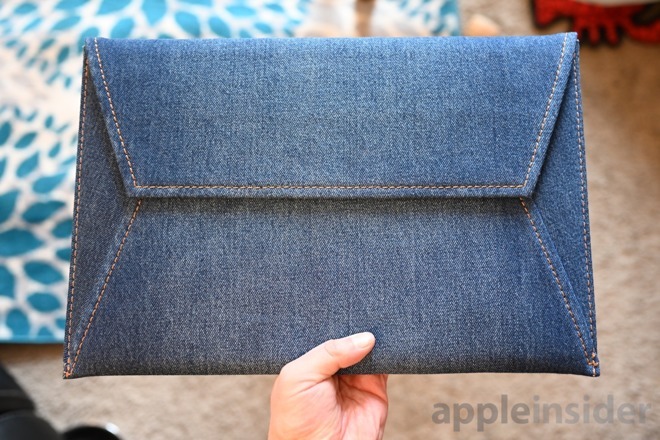 You can grab the Denim Incase Envelope Sleeve for $79.95 from Apple in either black or blue hues for both 13 and 15-inch MacBook Pros, as well as the MacBook Air.